Peter Heitz, a 4th generation winemaker born and raised in the Napa Valley, has been the winemaker at Turnbull since 2007. His approach to wine is respectful and straightforward, sourcing inspiration from the land and capturing the essence of Turnbull's estate vineyards to make exceptional wines. Under Peter's leadership, 14 Turnbull wines have received 95 points and above from Robert Parker's Wine Advocate, with both the 2013 Pierra and the 2010 Fortuna Cabernet Sauvignon garnering a perfect 100 point rating. Raised in Carneros on one of the pioneering vineyards in the emerging sub-appellation of Napa Valley, Peter’s education in winegrowing started at a young age. Weekends were spent farming the vines in Calistoga on land planted by his great grandparents in 1904. Throughout his youth, Peter continued his wine education by tending vines and tasting fruit. He gained an understanding of flavors, textures and densities, and learned how to farm to achieve balance. 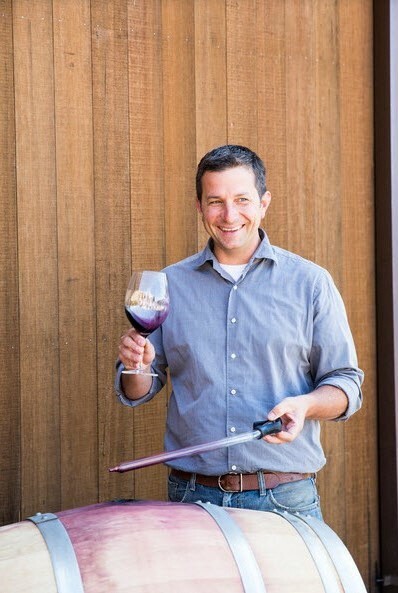 After attending UC Santa Cruz, he spent nine vintages crafting the venerable Beringer Reserve wines, starting in the cellar and working up to the role of Associate Winemaker. Arriving at Turnbull with the 2007 vintage, Peter's life-long involvement and experience with wine was appreciated and his creativity encouraged. Since 2007, he has harnessed the stunning quality of Turnbull's vineyards and its historic cellar to make incredible wines. His focus on maintaining the integrity of the land and farming sustainably encourages the vineyards to grow fruit that will reflect time and place for generations to come. Peter thinks that good wine should be "both interesting and delicious." He and his vineyard and cellar teams take ownership in their roles and make the best wine possible by keeping things simple - working hard and respecting the vines, the land and each other. "It's hard to imagine life without wine. For me, it is the fabric of social interaction. A good bottle can lend pause for thought and encourage conversation. I believe all Turnbull wines do just that." Peter lives in Calistoga with his wife Meg, their daughter Amelia and son Elijah. When not farming or crafting wine, Peter likes to garden, hike, and cycle. His children think they live in the sticks and don’t yet appreciate that they are fifth generation winegrowers in the Napa Valley.